As Heraclitus said “The only thing that is constant is change”. This could not ring more true as we see the global market changing at a rapid pace. Just two weeks ago, as a result of the Brexit referendum, the UK voted to withdraw from the European Union, leaving the question on everyone’s lips, what does this now mean in reality and what will be the impact? Regardless of industry, businesses and their people need to be prepared to face change. Organisations can think about effective change management practices to adapt their strategies to changing business conditions to compete and grow. But change management isn’t about the change, it’s about bringing people along during times of change. It’s important to always stay on top of any possible changes, making sure your whole team has an adaptive attitude to identify challenges and turn them into opportunities. Since digital marketing allows us to always react in real time to changes in market conditions, corporate positioning, customer need and the competition – it means that we should always be in a state of change to be effective. Change management is no longer a one-time issue. It’s about an ongoing journey and being agile enough to leverage the opportunities and address the challenges as they arise. This “always-on” marketing mentality is still new to most teams. Too often we have focused on the end objective, i.e. the result of the change, and not enough time developing the idea, vetting its value against customer or corporate need, working through the issues, selling the idea internally and then having a long-term focus on its implementation. Once a marketing initiative is launched, we often move on to the next initiative thinking our job is done. Rarely do we measure the full impact or incorporate findings to the core ongoing programmes as we progress. In a fast moving world, it is easy to equate success with rushing a marketing idea into implementation. Less understood is why it is critical that every member in your team not only understand the changes in marketing campaigns and initiatives, but also understand the role they play in its success. Often the team isn’t following or even in agreement with the plan, which can jeopardise its execution and impact. Change can take time to process and people do this at different speeds. Most people want to do the best work they can and want to be involved in the change, but often don’t have the full picture or appreciate their role. Sometimes what we are asking of them is new to their wheelhouse, which can bring stress and impact success. It’s odd, really when you think about it. As marketers we intuitively understand what our customers need to make a purchase and we factor into our programmes the business pain points and needs they have as a certain type of persona (IT, line of business, C-Suite, end-user) at each stage of their buying process. Driving change in our own groups appears to be another matter. I’d propose we’d have less stress and more productive, creative teams if we baked in time to plan for change management as we create, execute and measure our ever-changing marketing programmes and processes. Too often we only think the A players and the winning team, when in fact your team is made up of lots of “personas” who all bring something unique to the table. We forget that people are motivated differently, think differently, work differently and get involved in projects for different reasons. We forget the importance of driving change in our own groups. We forget there are many different approaches to a problem and get myopic about the end goal. Imagine if we executed the same discipline for ourselves as for our customers and ensured our teams were in alignment — from awareness to creation to consideration to execution of our marketing programmes. Everyone would be involved and delivering their unique value to the programmes. Everyone would own ensuring success. And everyone would constantly and naturally be increasing their own skill sets as they learned what works best. In short, everyone would be on the same page. Surely what works for our customers should also be applied to our teams? 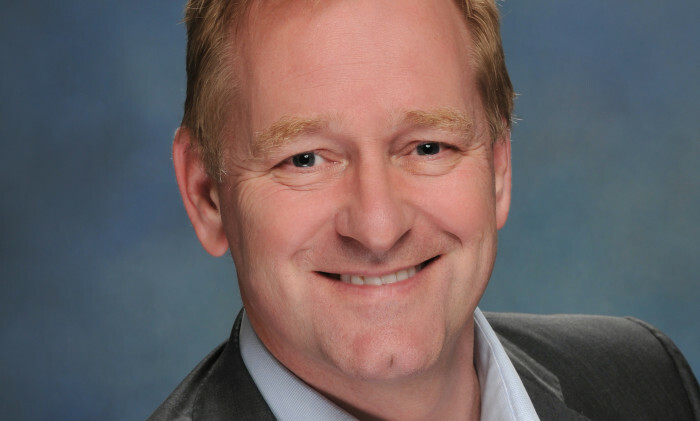 Mark Roberts is chief marketing officer of ShoreTel. Ambient Digital Philippines (ADP) has appointed Matt Robinson as CEO in a newly created position. Matt is currently Ambient Digita..